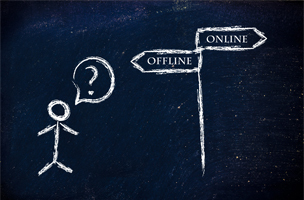 The need for separate online and offline marketing campaigns is over. These days, all campaigns need to work together. It’s difficult to coordinate marketing campaigns across the ever-growing plethora of social sites, let alone between an online campaign and offline one. But with the now, essentially permanent, access to the Internet through smartphones, thinking that online and offline are different campaigns can be a handicap. Dani Frankhauser, Mashable’s associate editor for branded content, compiled a list of reasons to stop thinking in separate campaigns. While it used to be true that e-commerce ventures needed digital marketing, and physical retail stores needed local marketing, many businesses have moved on to integrated campaigns. More is better, social media does wonderful things for your conversion rate and average order values. Don’t let the simple things slip through your fingers if you’re a brick and mortar vendor. “If you’re handing someone a printed surface of any kind and there’s no website address attached to it, what are you thinking?” writes marketing expert Chris Brogan on Entrepreneur.com. Put your Twitter handle on your napkins. If you have a newsletter, shout it from the rooftops. Yes, customer and users do actually want newsletters that work. Likewise, newsletters do great things for click through and conversion. If you have a Twitter campaign, a newsletter and other ways to reach customers, use those methods to boost your retail business. “In-store promotions no longer need to be planned in advance, but can be triggered in reaction to uncharacteristically low traffic and notify customers via social media, an app or email,” writes Frankhauser. Social media is a very fast way to spread word about your promotions and events. Tons of brands are weaving their online and offline presence into one money generating machine. Coolhaus, an ice cream company that operates food trucks in five cities, has seen the benefits of cross marketing. They created a Dexter-themed ice cream during the show’s final season. The company offered the new flavor for free, and not only did their Instagram efforts pull customers in, but their customers took to social media. They bought ice cream online, they built a buzz, and both arms of the campaign worked together. 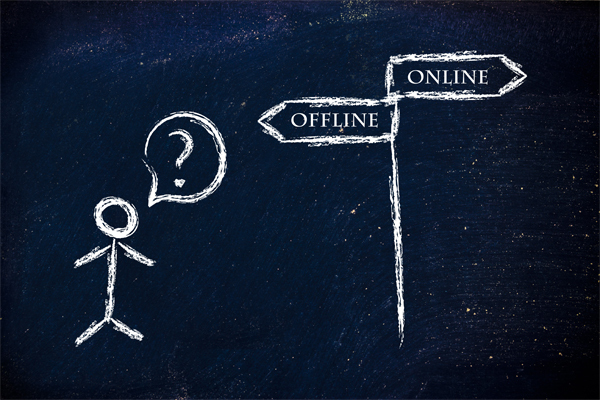 Online marketing for your business cannot just be a way to boost your store, nor can your campaigns operate separately. “Each IRL event should be a trigger for social media posts by both the brand and consumers, and the resulting social media posts can advertise for the next event,” writes Frankhauser.